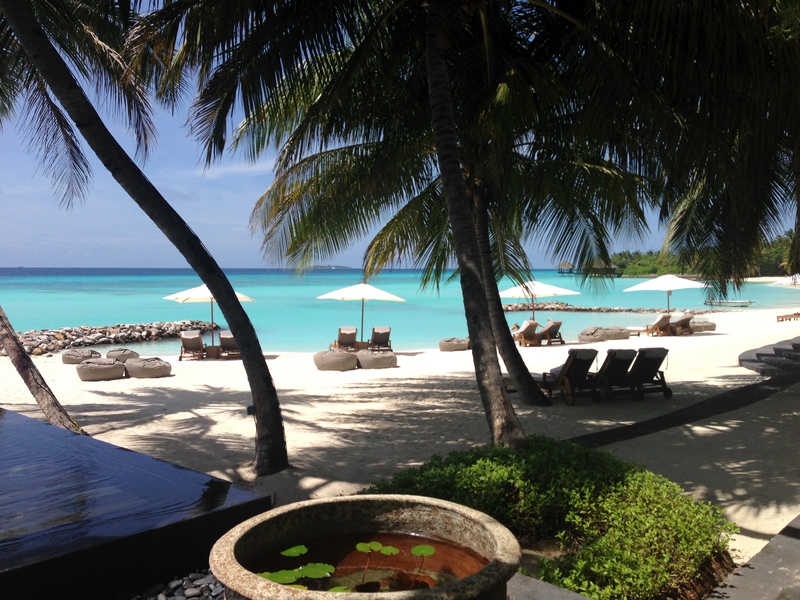 My first trip to the Maldives was at the One & Only Reethi Rah Resort. It was truly one of the most incredible places I have ever visited, ever. Surrounded by true blue crystal clear waters, there was never a moment where you weren’t in awe of nature’s beauty. It is a destination perfect for Instagram lovers, with copious opportunities to snap pictures at every turn – #nofilterneeded. This has to be The Number One destination for a relaxing getaway, whether it’s with friends, family, or a significant other, I highly recommend at least one visit. I went last year for a long weekend in May with my two sisters for a much needed girls trip. The weather was fantastic: warm and sunny. Though there was a day with light showers, it did nothing to stop us from getting that golden tan! Tip: The best time to visit this incredible island is from December to April. Upon arrival to Malé Airport, a 45 minute yacht transfer took us to the One & Only Resort where we were greeted and checked in to our ocean front villa. The wonderful thing about this resort is that each villa faces the Indian Ocean and has its own section of the white sandy beach. Each villa also has its own private butler who will make any arrangements you require, and give you lots of tips about things to do – which is always a plus! Like the majority of the resorts in Maldives, the One & Only is located on a large island; the hotel arranges golf carts for its guests to take them around, and it provides each guest with their own bicycle to discover the resort. There was really so much to do (other than laying for hours on the beach of course)! From spa treatments, to beach activities, to different restaurants to dine at. The water activities included, snorkeling, diving, canoeing, paddle boarding and still the list goes on. The gym, although small was perfect for a quick tone up. There are various free classes you can sign up for every morning: yoga, kickboxing, TRX, legs bums & tums … you name it! Personally, I loved the yoga classes held on the Chi Pavilion hovering only metres above the water. The calm sounds of the ocean, the breeze blowing through your hair combined with the strenuous workout was the best experience. Not least, the guilt free delicious breakfast buffet following the workout was a three hour indulgence. My Favourite place to eat at the resort was the Japanese restaurant called Tapasake, the mini tacos were UNREAL. We also ate there the last night but at the Teppanyaki section which was a completely different experience in itself. The Teppanyaki station overlooked the Indian Ocean and had an unbelievable view of the sunset. Our chef made us an incredible seven course meal that I still reminisce to this day #foodcoma. 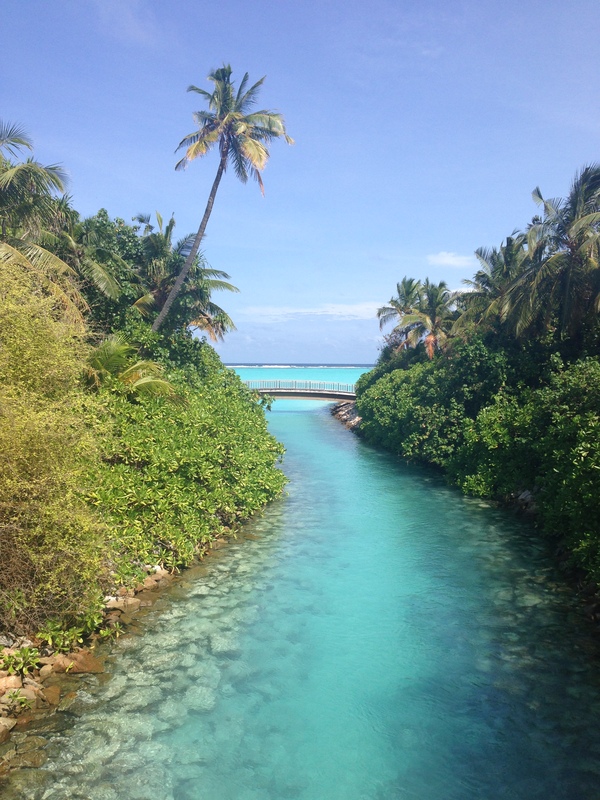 Maldives is indescribably amazing, I’m looking forward to my next trip soon…hopefully!